Above: Athens, 1963. This photograph was taken before her daughter, Sophia, migrated to Australia. 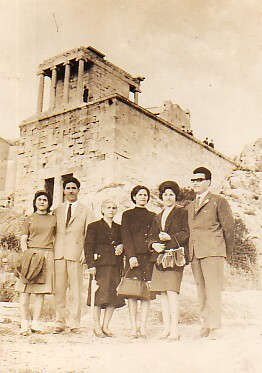 From left, they are: her daughter, Victoria; her husband, Christos; her sister, Klio Stamboulidou; herself;her daughter, Sophia; and her future in-law (at the time), Andonis Kapetanellis. 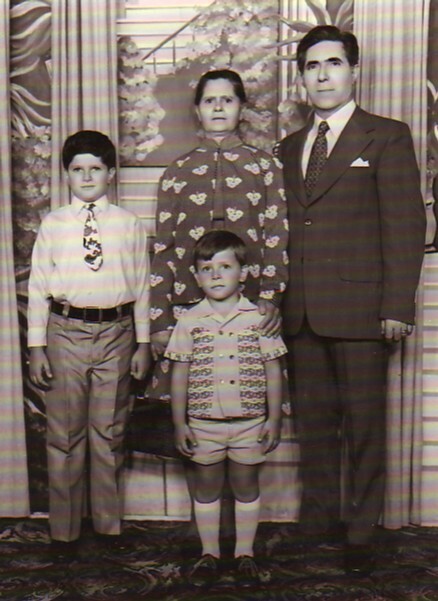 Above Right: Dorothea, with her husband, Christos, and their grandchildren, Nikos and Christos Kapetanellis. 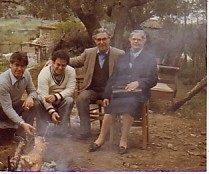 Above: Dorothea, with her husband, Christos, on holidays at Vatousa (early 1980's). On the left are Vasilis Kontsabaldiris and his friend. 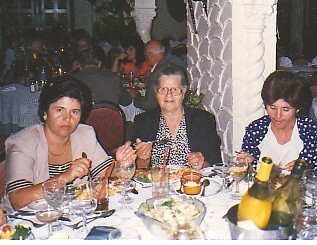 Above Right: Dorothea, with her two daughters, Sophia, and Victoria.